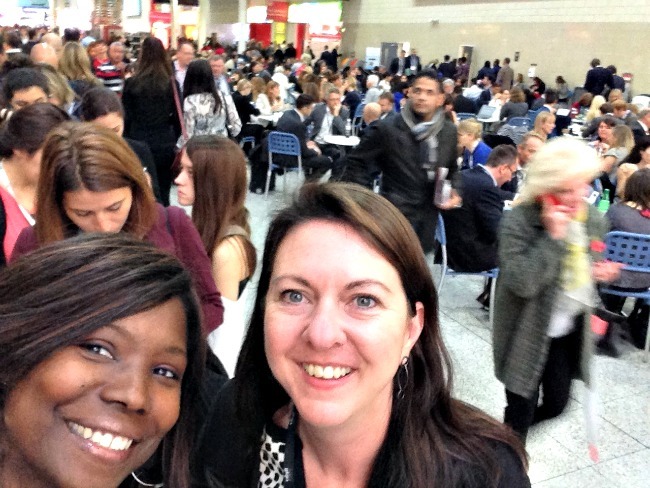 Is World Travel Market Worth The Trip For US Bloggers? You are here: Home / Blog / Is World Travel Market Worth The Trip For US Bloggers? You’re an American travel blogger/writer. You attend conferences like TBEX as a part of your networking, travel and professional development mix. You know that there are other events in the travel space that you should attend (or maybe you don’t) that could provide similar benefits like consumer travel shows and industry trade shows. You want to get in front of more international destinations and brands. You’ve heard of big shows like World Travel Market (or maybe you haven’t but now you have) yet you’re not sure if it’s worth it for you. This is the time when you need to do your research and travel planning for next year. For the past few years I’ve been attending World Travel Market. And ever year a fellow travel blogger/writer asks me if it’s worth it. My straightforward answer: Like any conference, marketplace, or trade show you attend, what you put in, you get out. It’s what you make of it. Opportunities at World Travel Market are there for the taking. It’s up to you to do the research, come up with a plan and execute. My first World Travel Market (WTM) was in 2012. It was admittedly an overwhelming experience. I attended at the suggestion of a fellow blogger but had no idea what to expect and didn’t necessarily have a plan of attack except to meet as many destinations as possible. Not only was it a poor plan, it was an exhausting one. The trade show floor is ginormous and exhibitors are usually expecting to meet with buyers. So if you’re not a buyer, you need to come to their stand with a compelling offer for why they should spend time chatting with you. At that time (2012), WTM had just a few seminars that focused on working with bloggers. Most of the blogger attendees were European. Makes sense – it’s free for all media to attend but less expensive for the Europeans to travel there. 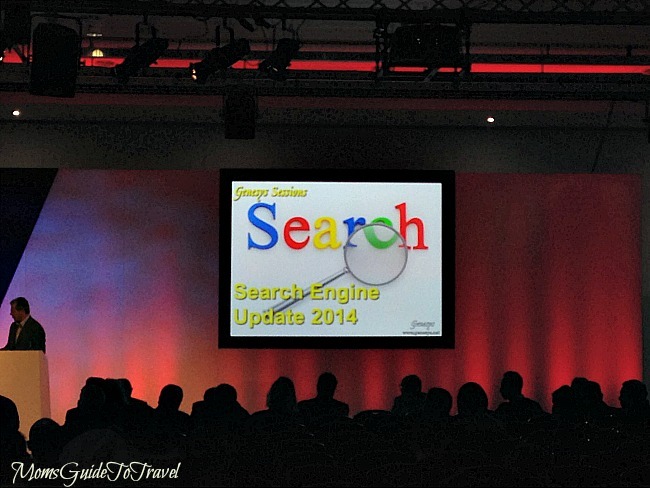 This year (2014) is the first year that WTM created a formal way for travel bloggers to meet with destinations. There were only 60 slots available (on a first-come first-serve basis) but that’s a good start. Next year, depending on the success and feedback of the attendees, I see that number increasing. Even if you don’t get a slot at the Thursday speed networking event, you can make appointments on your own prior to the start of the conference. This is what I did and perhaps what I prefer because I can set my own pace over the course of the three days. I believe there were more sessions on working with bloggers this year. Organized and run by Travel Bloggers Unite (TBU) head Oliver Gradwell, the sessions covered topics such as: how tour operators can create successful campaigns with bloggers; considerations for working with bloggers outside of the tourism sector; enhancing real time content creation to influence buyer decisions; and the growth of video blogging. The shift happening at WTM is a slow but positive one, on par with the travel industry as a whole. The lifestyle, technology, and fashion sectors saw the value of working with bloggers fairly early, reaping the benefits of social media marketing and blogger ambassadorships right before or at the explosion of key social media platforms. As content marketing and native advertising become less of catchphrases and more of actual practices for travel marketers, hopefully we’ll see professional travel bloggers utilized more frequently. Travel Bloggers are the ultimate social storytellers and a powerful marketing resource for any destination, airline, travel tech firm or tour operator. There are some in the industry that get it and some that don’t. For the ones that still need convincing, brands like Expedia, HouseTrip, VisitSweden, and Abercrombie & Kent (to name a few) have their own experiences to share. They’ve been successful early adopters working with travel bloggers over the past several years. The first day of the conference is the least hectic day of the week. Generally speaking it’s primarily a press day, starting off with a breakfast and progressing onto a forecast forum and sessions on trend reports. Personally, I like attending the global trends session. It gives me an opportunity to compare what I’ve recognized happening over the year to what may be actually trending. This year’s global trends report included: the rise of cycling amongst middle-aged men, the growing popularity of peer-to-peer dining websites, the increase in mobile bookings, and the mainstreaming of wearable electronics. I’m not sure where else I can get direct access to tourism ministers, private sector reps, DMOs, tour operators, hotel owners, airline officials, and the likes of Andrew Jones from Yahoo! or Anna Chomse from Google – all in the same building. For my business, that’s valuable. Fellow travel blogger friend Vero Autphenne from Belgium With Kids shared her take with me on attending WTM this year for the first time. I have to admit I was totally overwhelmed by the sheer size of WTM and debated whether to go. So before buying the plane ticket, I solicited advice from bloggers who had been there. The overwhelming advice I got was to 1) stay focused, and 2) make appointments. I followed their tips and set up about a dozen appointments over two days focused on only two destinations. I did have a chance to wander the massive halls a bit between appointments, which was fun but I wouldn’t have known where to start if I’d gone in cold. I also appreciated having access to the press room (which you automatically do for free as a blogger). It was sort of a haven from the hectic exhibit floor, they offered free coffee and tea, and it was a great opportunity to meet journalists from around the world. I feel like I got to meet with European destinations I wouldn’t have had access to in the U.S. The follow up so far has been slow on my end because I just got back a couple of days ago. I have heard back from three or four of the people I met with. I am already considering going back next year depending on the airfare, as always. Prince Erick, another travel blogger shares his perspective HERE. After the business day is over, the floor is filled with parties and socializing opportunities. 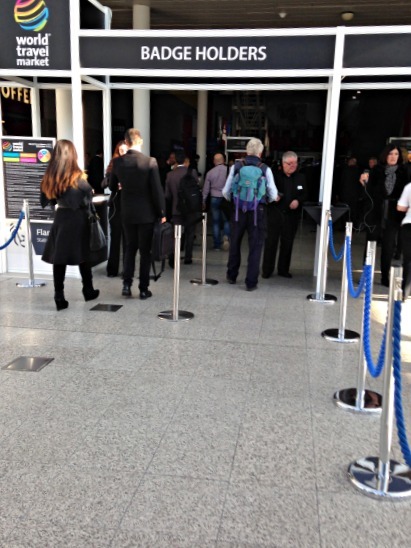 Outside of Excel London there are also the private events to consider. I attended a Travel Massive London meetup in Shoreditch and met a couple of people that invited me to a smaller private event. After attending that event and pitching on the spot to an audience absent of travel bloggers, I walked out with new international connections and a freelance job. World Travel market is about networking, marketing, industry education, sharing ideas, and being on top of trends and opportunities. As a professional in the travel industry, no matter what side of the fence you’re on, that has value. What you have to decide is how much is that worth to you. Great article. Thanks for the tips. I’m making plans to attend for the first time next year and trying to learn all I can. Thanks T. The WTM website is a good place to start. Make sure you sign up for their updates and I believe you can already start registering for Press access. Very informative! Thank you for sharing. I an just learning about this conference and I do need to get back to London so hope to attend. These are typically invitation-only shows but I see a wide range of press and media around. At these shows you would find the interaction more personal (pre-approved appointments), the products more niche and newsworthy and the general atmosphere more intimate. Maybe this will help some of you. Thank you for your comment. I’ve never heard of any of these travel fairs so I appreciate you stopping by and offering them as suggestions. I am a fan of invitation-only appointment style conferences. Intimate is also nice – it all depends on what the individual is looking to accomplish. That’s awesome you found a freelance job from it! That was a goal of mine but it was my first time going to WTM and I couldn’t figure out how to get to that point. There’s always next year! Hi Alyssa, It wasn’t something that was even on my radar so a very pleasant surprise to fall into that opportunity. I think the biggest lessons to take from WTM is to go with a plan ahead of time outlined with goals and must-do’s yet remain flexible and open to the unexpected. You’re welcome Chanel. That’s always a good way to learn about new conferences and opportunities worth pursuing. Good overview of the pros and cons of conference attendance: it’s what you make it. Having worked at MPI, I know how much pre-event planning matters, especially when you’re trying to get the attention of the exhibitors. They’re working on the principle of volume, so the more people they can talk to, the better. Get on their set schedule and you have a better chance of being remembered. As a press person, the more face-to-face time I can get with a writer/blogger, the better the relationship will be. Also, looked at TBEX and they don’t have an American event planned for 2015; you know anything about that one? Hi Veleisa, Thank you. You’re absolutely correct – the pre-planning is imperative. Unfortunately, TBEX hasn’t announced a 2015 North American event as of yet. It was my first WTM event which I did right after TBEX Greece, the good thing is they are back to back so you can save some bucks by sticking around Europe and killing two birds, or in my case three since I did TBDI in Italy beforehand. It is worth it, but as mentioned above takes planning. The speed dating sessions were fantastic and a good opportunity to hone your talking and listening skills. Wow Noel! You were busy. Well, I have two small kids so I needed to get back home to see them for a second before I went to London. 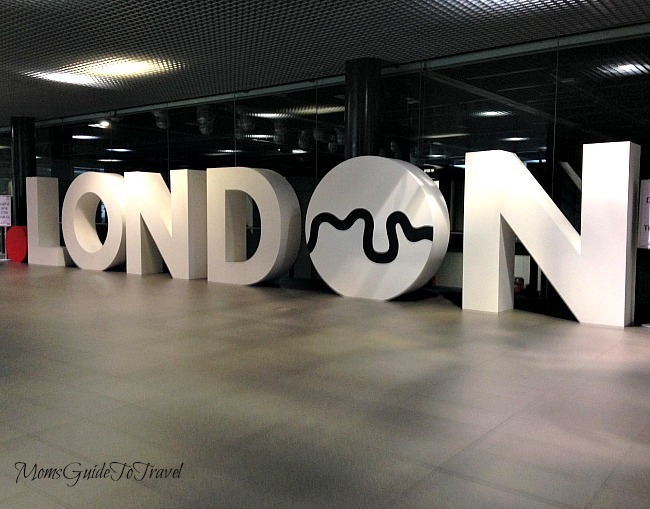 I purchased my London tickets way before TBEX Greece so it had to work out the way it did for me. However, if there’s an opportunity to knock out a couple of travel trade shows in a region in the same time, I say go for it! Glad speed dating went well. Thanks for stopping by. This is very helpful, as I truly love TBEX, but the dates don’t always work for me, and I’ve been looking at which other conferences might be worth it. If you look at Marc Mekki’s comment you’ll see that he offers some other suggestions around the world. WTM just happens to be the one that I like because I love London. I may consider one of his suggestions down the road as well. I like the way that you broke down the info about WTM. I’ve never been to WTM but I am one of the European bloggers that you talked about. I live in Berlin so I prefer to go to ITB which is more for my turf. If you want to break into the European market as an American, I think WTM is the way to go. If you want to go into the International Market and you happen to be in Europe looking for that “other” expereince, I think ITB is better and you can get more intimate as they do prefer that you book appointments and they were enormously friendly. Thanks Victoria. I was invited to attend ITB Berlin by one of its organizers at that off-site party that I mention. I’ve heard great things about it and I also know that it’s several times larger than WTM as well. I’ve only attended one conference in the past, but it has served me really well! I wish I would have been better prepared, though! If WTM were on the weekends, I would definitely be there! Yes! Totally agree with you about the weekend option. However, most of the attendees would rather keep their weekends to themselves and continue to conduct business during the week. 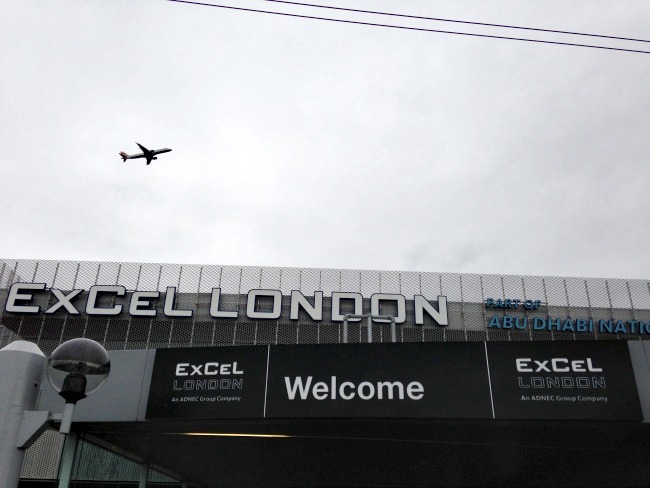 WTM isn’t really a conference as it is a trade show hence why you’ll always see it during the week. Thank you for sharing your insights. We are hoping to attend a WTM conference in the near future. Based on your advice, we’ll be sure to set up appointments and make specific goals before attending. Yes Mary, I think goal setting is a good plan of action all around. Thank you for this! Conferences are definitely a waste of money if you don’t use every second. I’ve never attended a travel conference, but I regularly attend conferences for writers. If you have no plan, you’re probably throwing your money away. I agree with you Christopher! I think conferences like this are worth it. With a Philippine-passport, however, it’s 1000 times hard for me to attend, what with all the visa requirements. Well Aleah, you can maybe go to TBEX Asia next year which will be closer to you. There may be other similar conferences that are closer as well. Scroll up in the comments and see Marc Mekki’s comments on other options. Thanks for stopping by! What a great piece! I think that a lot of times people go to these more for fun than networking, so I really appreciated your perspective of how to get something out of it. Yes, it’s too costly to go to trade shows and conferences just for “fun” but then again, that depends on your agenda. Thanks for stopping by. Did I miss where you say how much it costs to attend? Quite an important part of determining value. Thanks for an awesome read! Hi Mike. No, you did not miss where I say how much it costs to attend. Thanks for that point. If you are a journalist, freelancer or blogger, WTM is free. If you live out of London you will have to account for your transportation costs. In this case, then you will need to decide what the ROI is after 12 months of having attended. For many, their first year might be spent on just initiating and establishing relationships. Working with someone often doesn’t happen overnight in business so, over time you will need to determine the value for yourself.